Powered by a brand new Class D Power Amplifier, the new KRK RP7 G4 delivers superb mid-range performance with a 6.5" woofer. The perfec..
Powered by a brand new Class D Power Amplifier, the new KRK RP7 G4 delivers superb mid-range performance with a 6.5" woofer. The perfect monitor choice for those that want an extra bit of low end power and top end projection in small-to-medium sized studio spaces. With the addition of built-in LCD visual display on the rear panel, DSP-driven EQ provides far more control over your frequency response and output in relation to your studio room size and monitor placement. With matching materials now used on both the tweeter and woofer, a Kevlar Aramid compound, frequencies are true and transparent like never before. 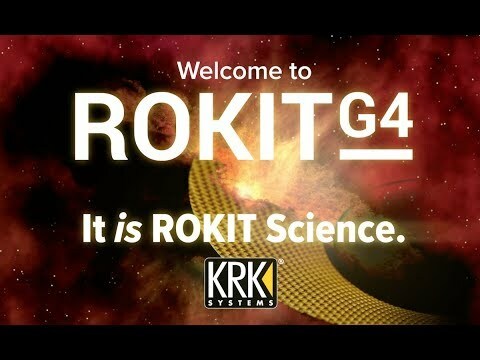 4th Generation ROKIT Powered Monitors now include some best-in-class features that exceed their modest price point. KRK RP7 G4 now features a Combi XLR / 1/4" Jack - a much cleaner, simplified audio connection from your mixing desk, audio interface, Smartphone, Tablet, PC or Mac.